It’s really no surprise that the presidential debates always garner high ratings and produce a hotbed of headlines up until election time. Of course, with all eyes on the nation’s frontrunners for the race to the White House, people tend to have opinions; however, we recommend that professionals refrain from expressing such opinions on their social media channels of choice. We can trust that the Internet will be full of respectful opinion and rebuttal. We are in no way suggesting that it will be a carnival of name-calling and vitriol spewing. No. No sir. However, let’s just say that these debates percolate a bit of passion within yourself over certain political bullet points. In the sanctity of your own home, after a long day of work, you decide to state your opinion via Twitter, reply to a Facebook “friend” that simply doesn’t have the facts straight, or write a passionate Google+ blog post. Well, unfortunately, if you’re working as a professional in most any industry, you can be in hot water for getting a little hot under the collar on social media. When we say keep it “politically correct,” we mean that you should not attempt to prove your political alignment is the only correct one. Be wary of expressing your opinion with terminology that can be interpreted as disrespectful to those with differing views than your own. It’s ok to have an opinion, but be respectful and knowledgable about it before posting. 2. Leave the company out of it. As a professional in any field, social media can get you in some deep trouble or downright awkward positions. You have the freedom of speech, but keep in mind, social media can sometimes keep you accountable for your words. Never use your company’s social media account to express your personal political beliefs, as that’s a surefire way of alienating customers and employees with differing opinions. 3. Avoid the lure of trolls. The Internet can be a firestarter. Don’t give in to unproductive debating/name-calling that is sure to ignite during and in the moments after the presidential debates. Getting into an argument with a stranger (or your Aunt Sue) online is always a losing battle. 4. Retweet at your own risk. You often don’t have to say a word to share your opinion. You may not realize it, but a retweet, share or even a like is often viewed as an endorsement. If you don’t want yourself, professional or otherwise, aligned with a controversial view, keep away from endorsing such things on your social media accounts. 5. Triple check your social media account. 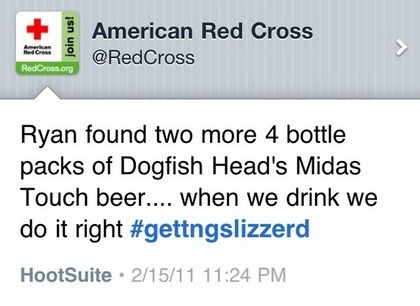 It’s happened countless times within countless major corporations: a social media manager doesn’t realize that they’re still logged into the company’s account and says some very heinous, inappropriate things on behalf of the fine folks at (insert corporation here). It’s a nightmare scenario, and one that you should absolutely do everything within your power to avoid. Double and triple check that you are, indeed, logged into and posting as your personal account before hitting that “publish” button. All-in-all, while watching the Republican presidential debates, don’t be afraid to have an opinion. It’s difficult to not be impassioned with these candidates that very well could shape the future of the United States. We only suggest that you, as a professional, realize that no matter how much you love or hate the policies of Donald Trump, Jeb Bush, Ted Cruz and the other seven candidates in the prime-time slot, you can never completely remove your professional persona from the views you express on social media. It may seem unfair, but the price of sharing your views and opinions to the general public is that you will be held accountable for those opinions — for better or worse. It’s vital to study your company’s social media policy, but a good rule of thumb is to leave the debating to the professional arguers: politicians.